Classical scholars may only describe the connection between geometry and music through the quadrivium—four of the seven arts associated with a liberal-arts education—but Paul Reed Smith lives within that nexus. 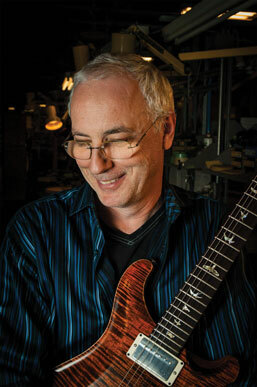 Smith is a respected master luthier and the founder and owner of PRS Guitars. His state-of-the-art factory produces finely crafted, high-end instruments that are played and endorsed by such prominent musicians as Carlos Santana and Howard Leese. Last year, news broke that Smith had created something different—a technological advancement in image resolution that could be groundbreaking in medicine and other fields. 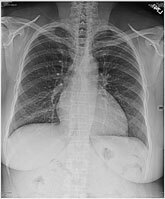 Less radiation is needed to generate X-rays because the images can be enhanced with Smith’s technology. The mathematics of sound waves led Smith to his latest discovery. While trying to create a guitar synthesizer, he spoke with his father, who had studied with the theoretical physicist George Gamow at George Washington University. He asked how to possibly accelerate the time it took to know the frequency of a tone, and his father responded, “Just measure the high harmonics; you’ll know before the first [oscillation] goes by.” That sounded implausible to Smith but reasonable to his father. A physics lesson ensued. 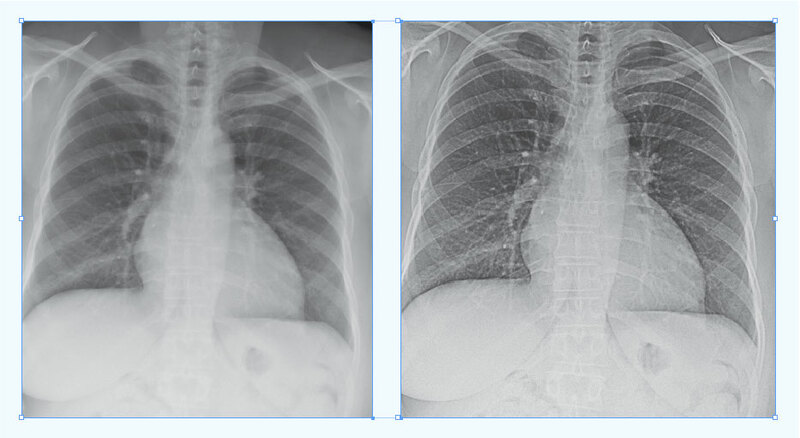 The standard x-ray image (left) is not well defined, but after Digital Harmonic’s technology is applied, the processed image (right) is much clearer. The result: a set of algorithms that can be applied to developed images to enhance them, so that X-rays, CAT scans, and PET scans look clearer. “You could turn the X-rays down by four-fifths and still be able to get a good image, even though there would be way less radiation hitting the plate,” he says. Using gaming computers, which according to Smith work twenty thousand times faster than a supercomputer, the images can be enhanced in one one-thousandth of a second. Error: Error validating access token: Session has expired on Saturday, 09-Mar-19 15:57:50 PST. The current time is Wednesday, 24-Apr-19 06:15:56 PDT.